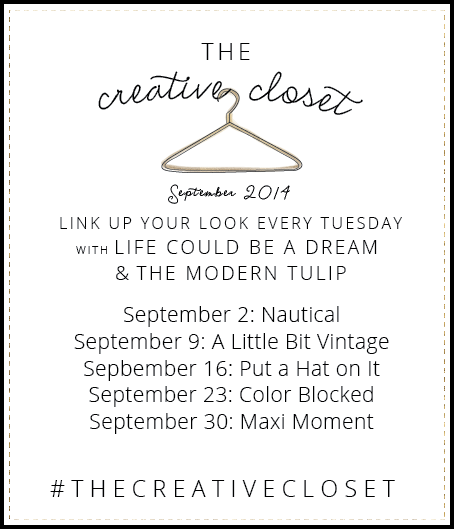 18 comments on "The Creative Closet || Put A Hat On It"
You are totally rocking that hat!! I love it! You look amazing girl! 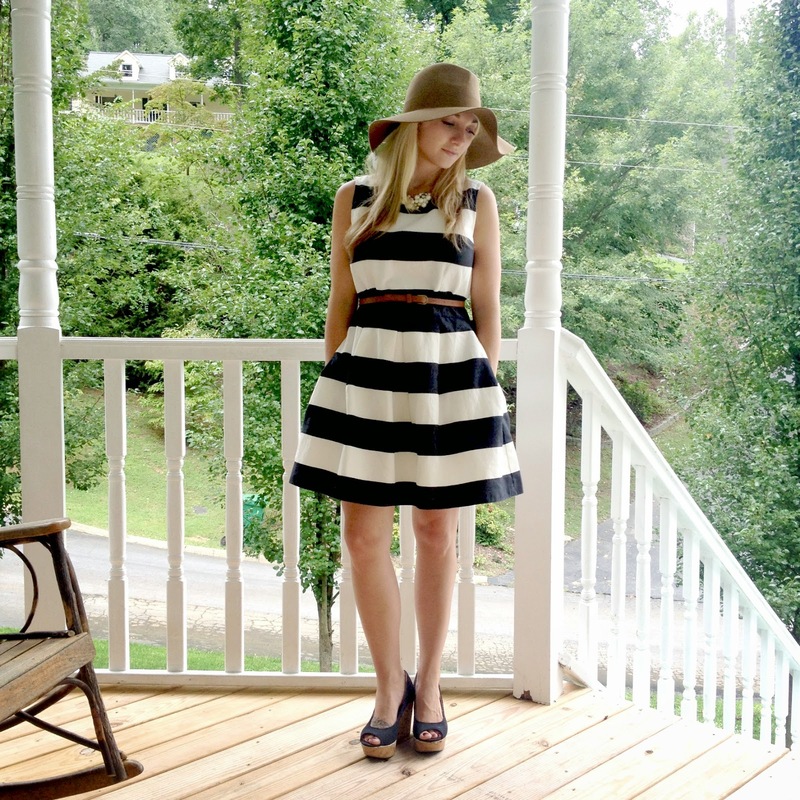 i love the hat but LOVE the dress. The shoes and the belt and the belt compliment it so well! They are not lying! That dress is a win! ADORABLE! That outfit is the cutest! Love it! You are such a little fashionista! :) Love the entire outfit!! Now I need a hat. lol I literally don't own one but I'm pretty sure I need to try one now. You are adorable! Love that Gap dress! love this outfit! you look like you are ready for a classy brunch! i have been wanting a floppy hat soo badly. they are just too cute! I love that the dress has pockets! Is it bad that I sometimes base my dress purchases based one whether they have pockets? But in all seriousness, that is a fabulous dress! 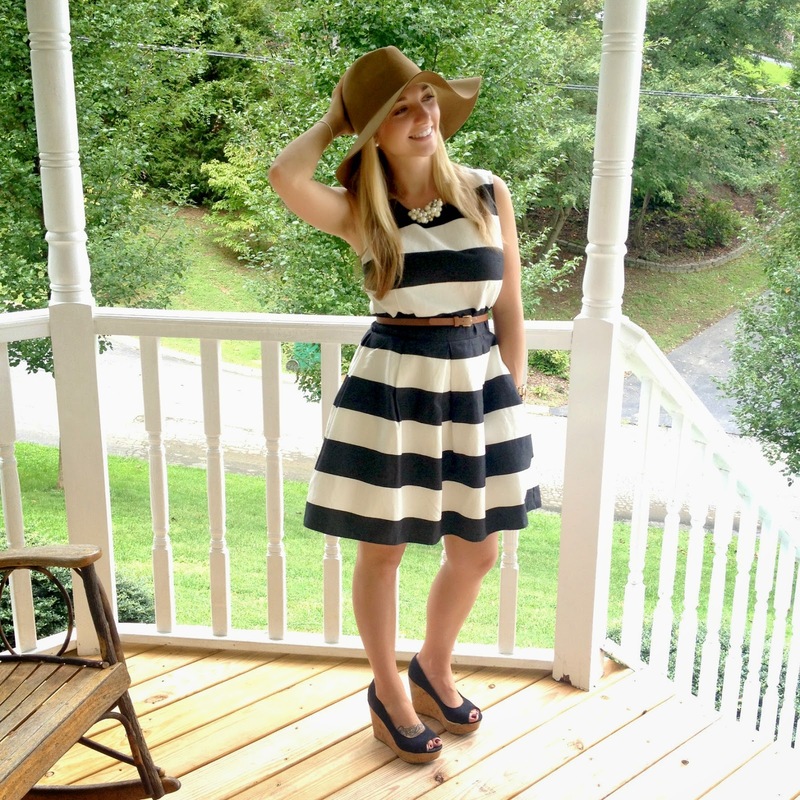 It is the perfect pairing with the big floppy hat and pearl accessories. 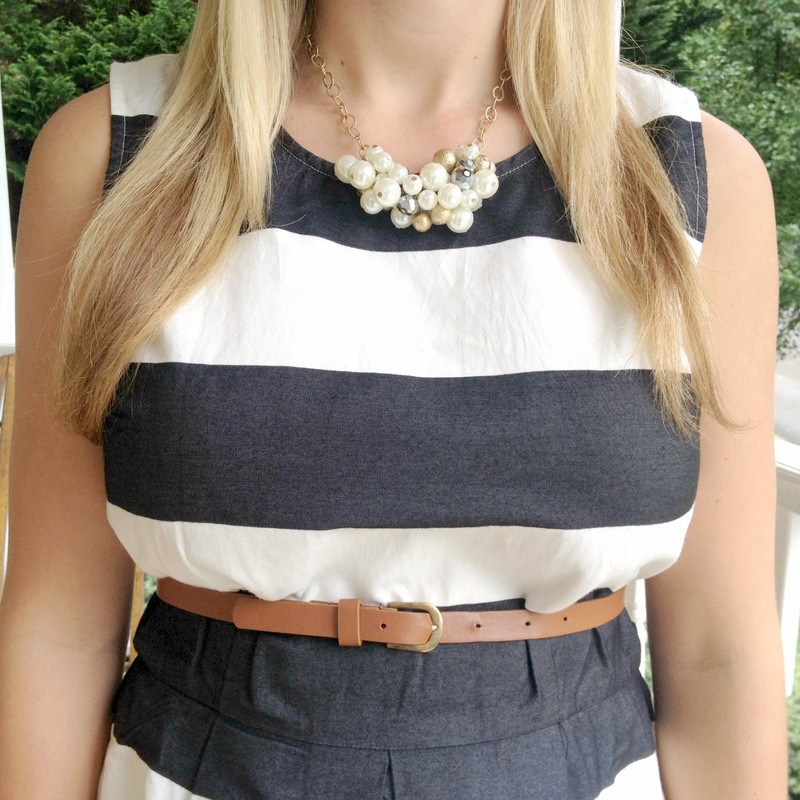 You look like you could be going to the horse races or a fancy brunch, yet it's understated enough for church and errands, so cute! This whole outfit just hits it out of the park! You look like the epitome of class. I'm definitely adding this to my own pinterest board of outfit inspiration! This whole outfit is a total win! It is gorgeous and classic! I love the hat with it though, just add the perfect finishing touch to the outfit! Plus, girl you look amazing! Love the hat on you, you can feed your husband tonight he's totally not lying to you! The entire outfit is fab, no wonder you received so many compliments. 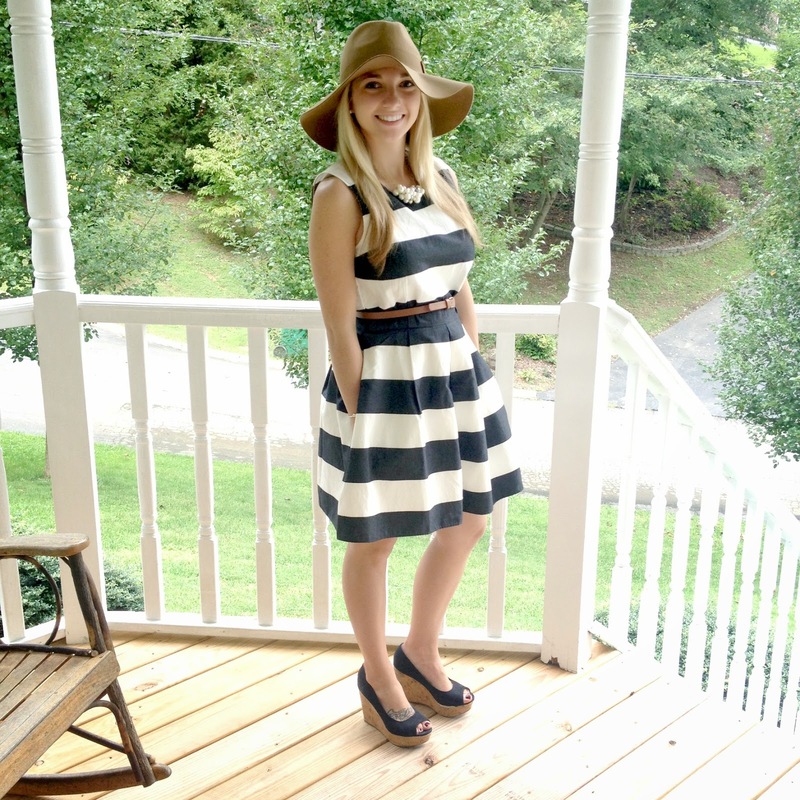 You look like a southern belle :) I love that dress and the hat just finishes off your look!